but now i see at forum a ready image here and i want also use the winflash for test. try resize again and see error no /dev/root/ ?? - - the epiphany browser start double and shut down. does not work insofar as it not shows the new installed programs! + + besides that i like the full debian menu compared to the reduced RASPBIAN RPI.ORG menu. and just for easy first start edit cmdline.txt and add in first line ' ip=192.168.1.102' temporary, login user pi password raspberry. try a dist-upgarde too, but no change. Change all lines that have "wheezy" to "jessie". 1h on a tuned RPI2B restart question YES, all other questions also "Y"
disable ssh root YES ?? 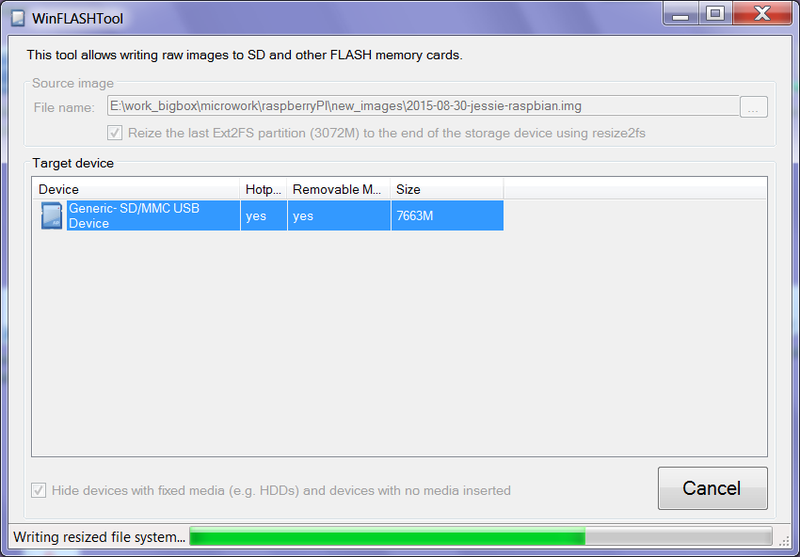 and more "Y"
after 1h40min (see 6.4GB of SD card used ) i reboot, looks ok.
Alacarte menu editor i must play with that one. fix ip: sudo nano /boot/cmdline.txt , add in first line " ip=192.168.1.101"